I never did like the original movie very much, but the series was really well-done and deeply engrossing. Please, FOX, bring it back! The Exorcist was excellent!! So many horror fans have no idea what they missed. In my mind, it was one of the best new shows of the season. I only wish the ratings reflected that. I can only hope FOX renews this great show to give it a chance to attract viewers. If they really want to give it a chance, FOX should air it after Empire for a month or so. 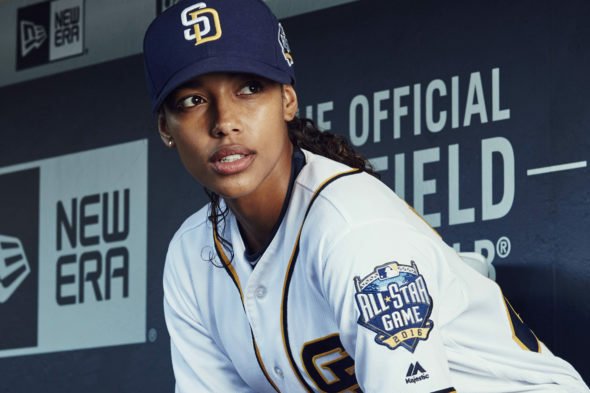 Just started watching PITCH …. watched 5 episodes in 3 days. LOVE it! Cast and Storylines are great!! The Pitch should air during the baseball season. Whether that means making it a summer-only series–which has become a viable alternative for other networks–or airing it only in late spring, I’d love to see the show continue. It makes little sense to air it after the real baseball season’s finished; it’s kind of the same reason you don’t air FROSTY THE SNOWMAN in July. Exorcist was a great show. I “compel” you to renew!!!!! Renew The Exorcist….need to find out further challenges! Geena Davis, Ben Daniels and the rest…..BRILLANT. They TOTALLY need to RENEW The Exorcist!!!! Renew The Exorcist…..Never watched the other. Anyone who thinks these shows should be renewed needs to fired IMMEDIATELY! Are you hearing me FOX?